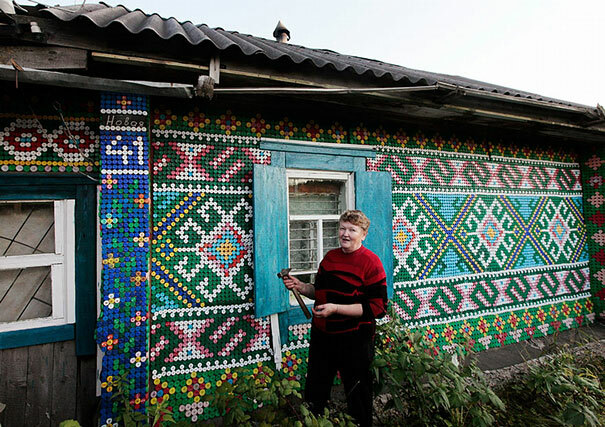 Not all grandmas are only into knitting and feeding stray cats: a Russian pensioner Olga Kostina, for instance, took up a very creative project of a house make-over by covering every wall of the facade in colored bottle caps. 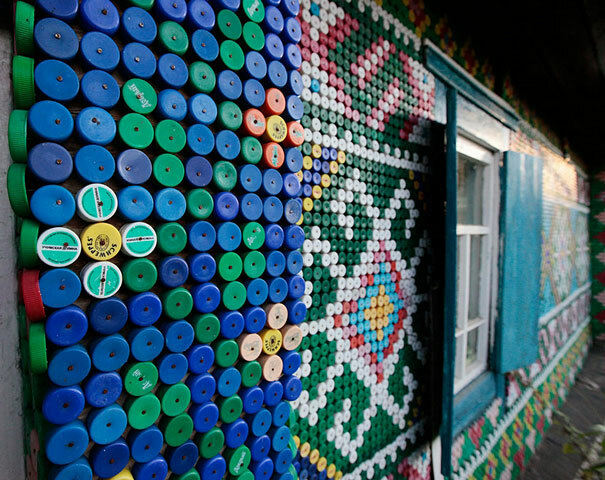 Located in a secluded Karmarchaga village in Russia, in the Siberian Taiga, the sight of her house will definitely take you by surprise. 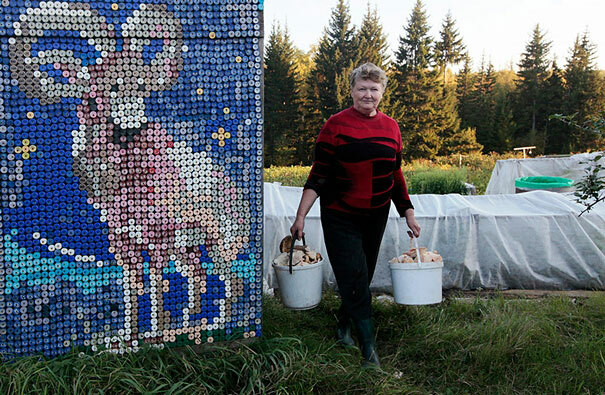 The woman had been collecting the caps over the years till she reached 30 000 and then nailed her whole collection to the walls, organizing them in various ethnic ornaments and animal portraits. 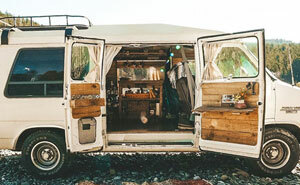 The gaps were filled in by using the macramé knotting techniques. 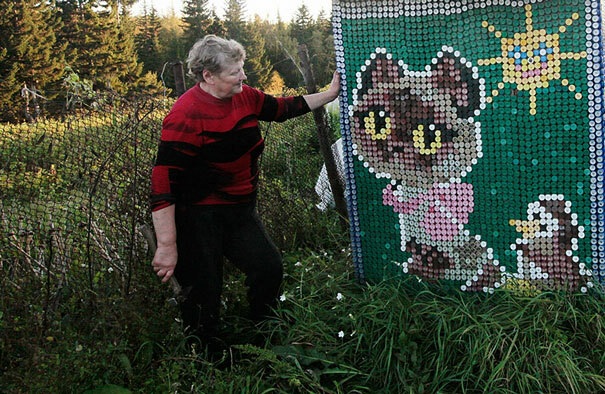 As if that wouldn’t be impressive enough, she also took the time to decorate several other constructions nearby so as to cheer the area up a bit.